This week was a celebration of amazing writing, generosity, kindness, attitude to learning and hard work. Great job everyone! This week we celebrated amazing progress, fantastic assessment results, hard work and manners. Well done everyone! This week we have seen improvement in people's attitude to learning, success in phonics, new skills developed in maths and amazing behaviour. Well done! This week we have celebrated improvement in learning, applying new skills in writing and excellent work in maths. 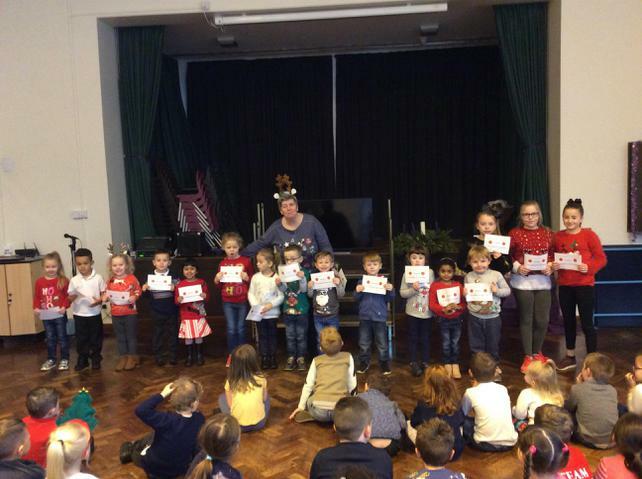 This week we have celebrated all the success of the children in our classes. Well done everyone! This week we celebrated things such as trying hard to improve behaviour, up-leveling writing, reading tricky words and improving handwriting. Well done everyone! This week we have had children in the Golden Book for their amazing attitudes to learning, their consistently high standards of behaviour, their ability to be role models for the class and the way they approach challenging situations in class. We also elected our school council who will be helping in school to make decision about how our school is run and coming up with ideas on how to make it a better place. This allows us to give the children a voice in the decision making process of the school. 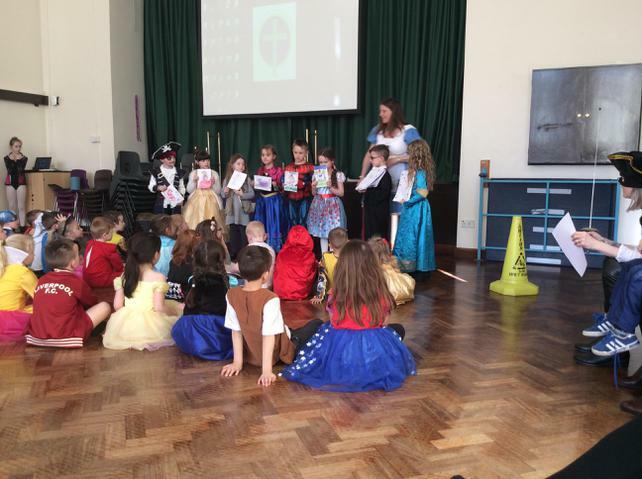 This week we had people in the Golden Book for a variety of reasons including excellent results in their assessments, always being ready to learn, sitting beautifully on the carpet during learning time and fantastic attitudes to learning. Well done everyone! This weeks Golden Book celebrated all the children who had settled in quickly and had impressed their new teachers. All the teachers said their classes were wonderful and that everyone had been trying very hard. We would like to give a special welcome to all of our new starters in Class 1 who have joined our school family this year. Below are the numbers drawn for the raffle. Please bring your tickets with you to claim the prizes. 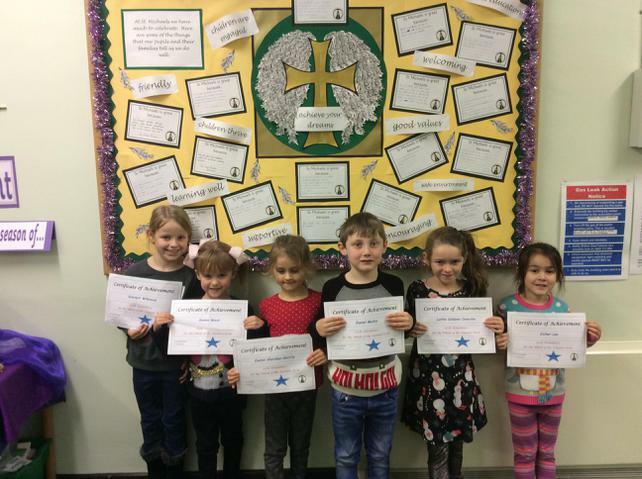 This weeks children were selected by their teachers for their excellent learning, attitude, literacy and musical skills. Well done! 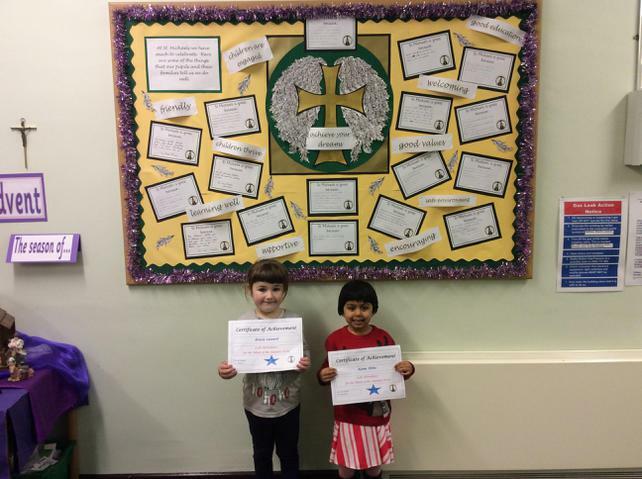 This weeks children were selected by their teachers for their excellent learning, attitude and behaviour in class. Well done! 27.4.18: This week's Golden Book award was teacher's choice for exceptional standards. This week our Golden Book has been themed around those children who always demonstrate exceptional behaviour in school. This week we were celebrating hard work in class. Teachers chose people who had particularly impressed them with their effort, achievement or attitude towards their work in class. 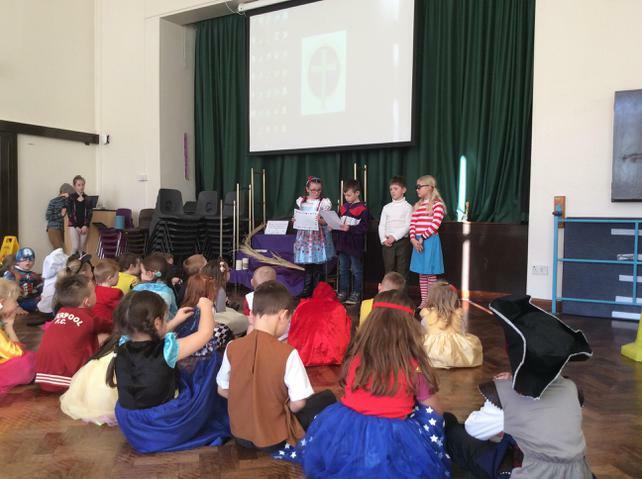 Mrs Holcroft also introduced the Top Table this week. From now on any children in the Golden Book will be invited to dine at our Top Table the following Friday where they will be treat as VIPs as a reward for all their hard work. 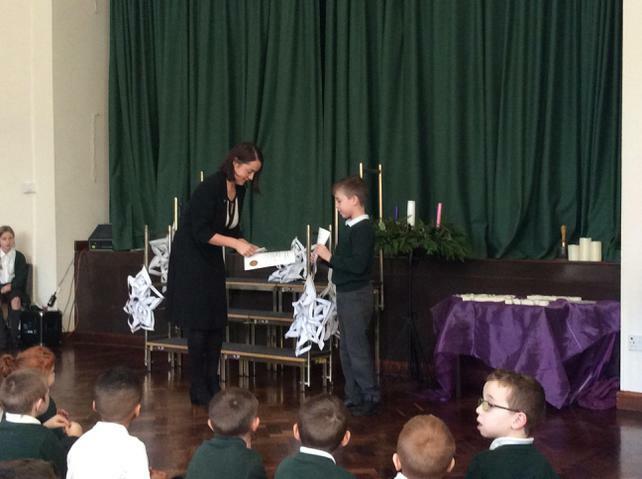 Lots of awards given out in today's assembly as well as our usual celebrations. 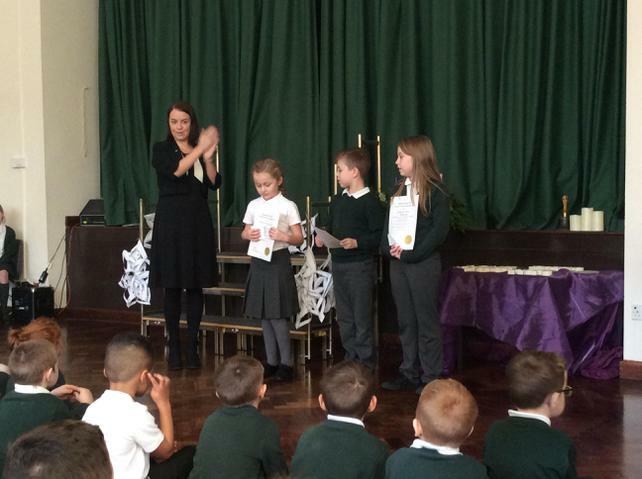 Golden awards were given for the effort shown by some of our children this term. Well done to you all. 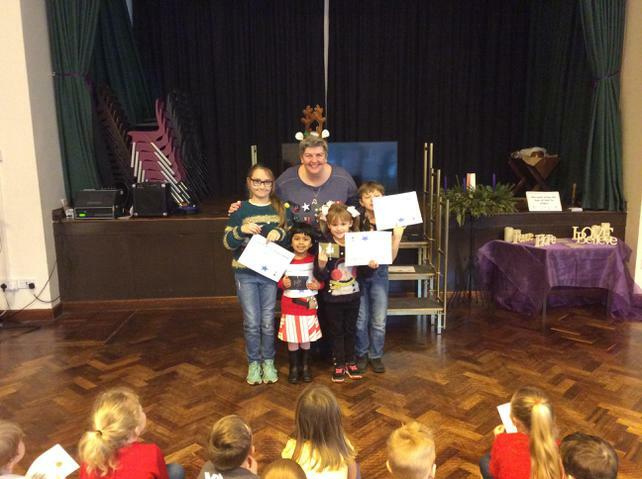 Children received their Bronze and Silver awards for the getting 25 or 50 house points. 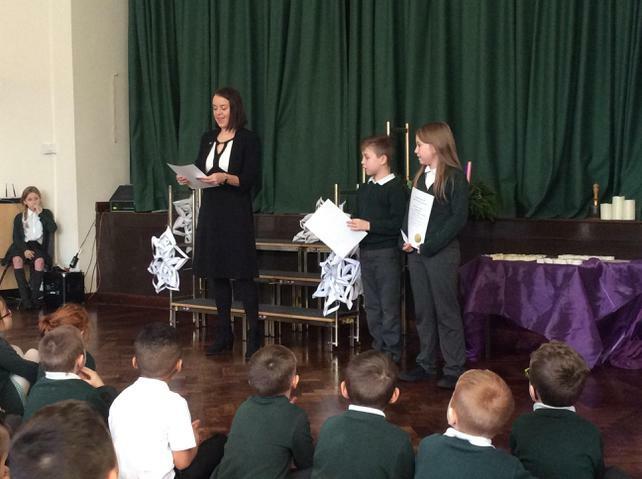 We awarded children for having 100% attendance for this term and those who had 100% attendance for the whole year. 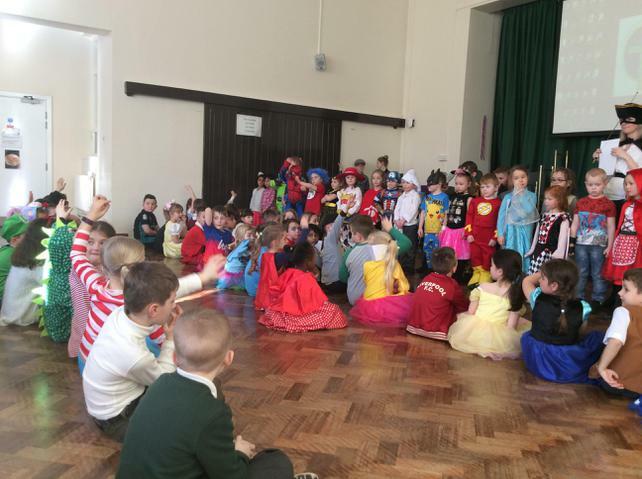 We drew a raffle of all these people and the winners received a £5 gift voucher. We selected children for our Golden Raffle, awarding children for their good deeds that we spot around school everyday. Each person received a £5 gift voucher. We chose the best decorated eggs for each class and for the whole school. We had some amazing eggs and found it very hard to choose. Finally we drew our Easter raffle and made lots of children very happy. 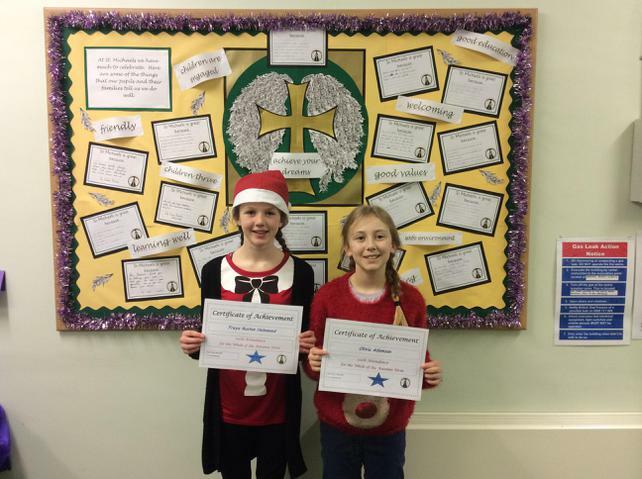 This week we have celebrated all those who continually show good manners and respect to others around school. Well done everyone. 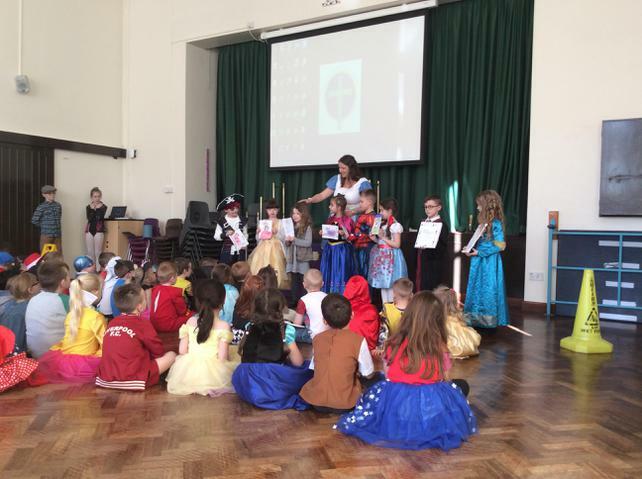 This week we celebrated achievements of a variety of things from behaviour in class to assessment results. Well done everyone. A big well done to one of our Class 1 children who achieved her Bronze award for reading this week for reading 30 times at home. 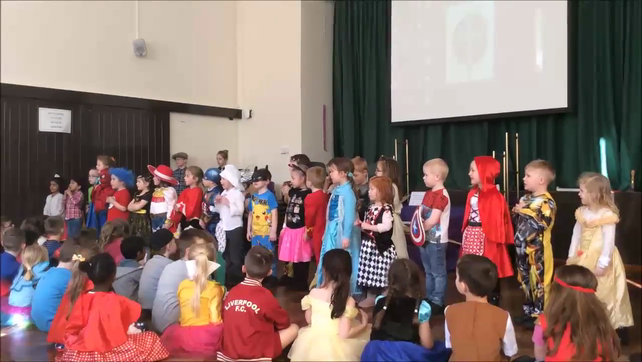 We celebrated our World Book Day slightly later than planned this year due to the snow but it was worth the wait we had some amazing costumes linked with people's favourite stories and the whole school did amazing work linked to the character their teacher dressed as which we then shared in assembly. Great work everyone. 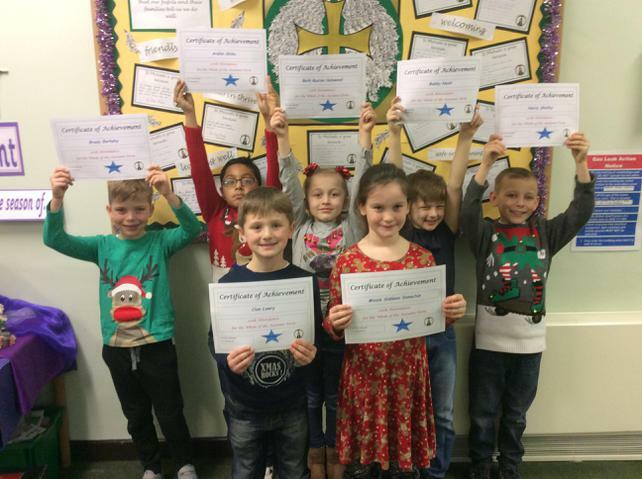 This week we have celebrated those children who have excelled in maths recently, from those who try their hardest everyday to those developing a deeper knowledge of different concepts. Well done everyone. 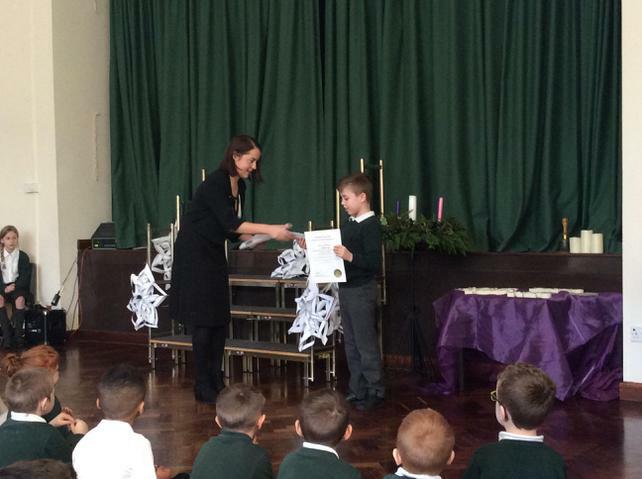 We also celebrated the achievement of one of our pupils who recently passed his electric guitar exam. We are really impressed with his work and hope to hear a solo soon. 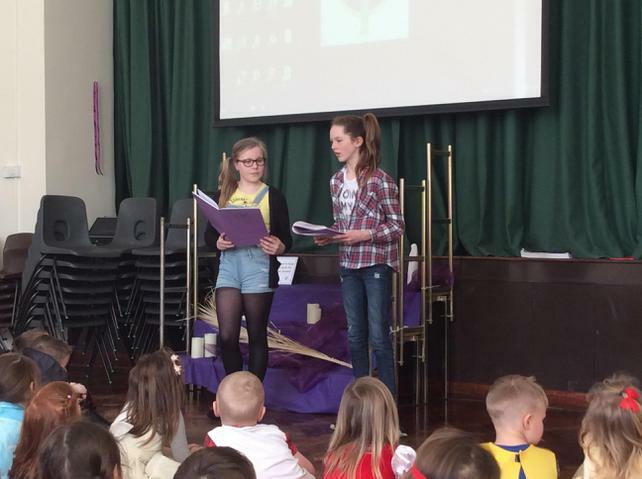 Our finally celebration this week was for one of our Year 5 girls who passed her audition to go and sing at the Edinburgh Fringe Festival with her choir. She is one of the youngest people chosen for this and after listening to her the judges said it was one of the best auditions they had heard and that she not only sang the music but clearly felt the music as well. A huge well done to our future pop star in the making. 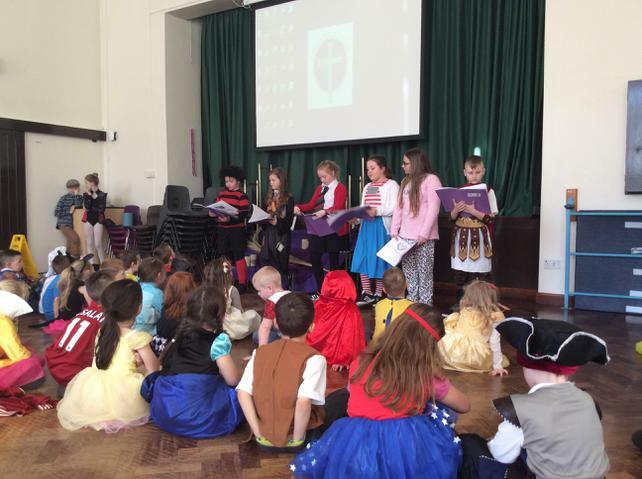 This week we have been celebrating those who have made massive improvements this half term. We are really proud of every one of them. This week's theme has been all about Perfect Manners. 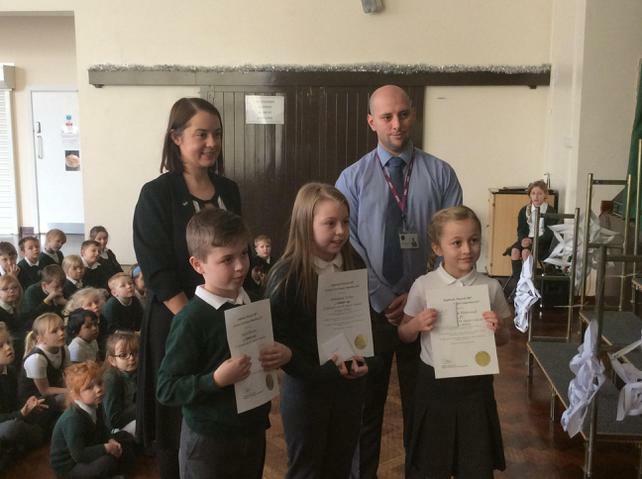 We also had some children from Class 1 who achieved their Bronze Reading Award for reading 30 times. 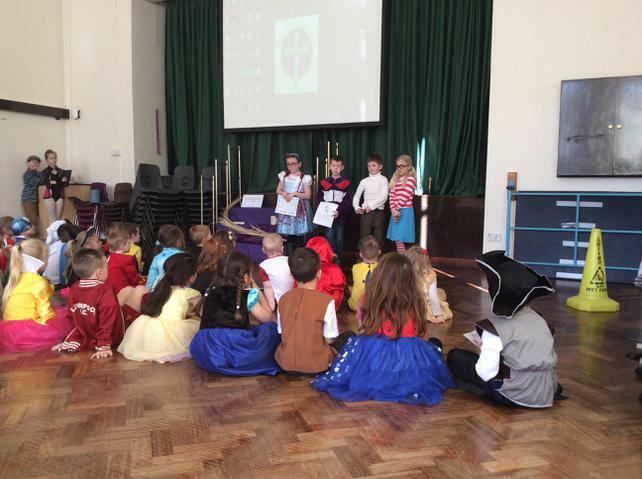 This week we celebrated the children's achievements in reading. 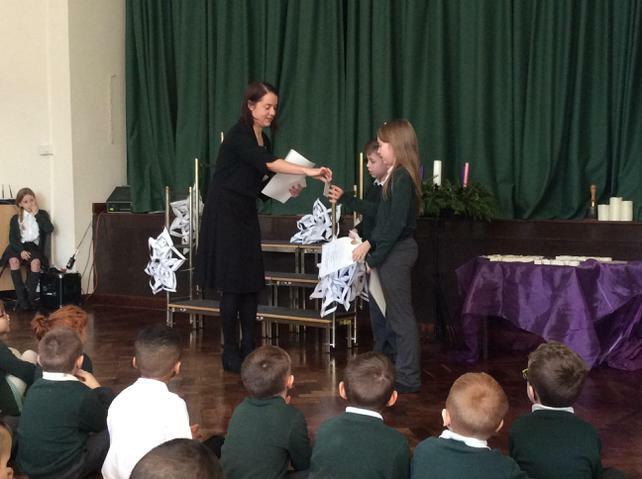 Some received their awards for their latest attainment and some for fantastic levels of progress over the last term. 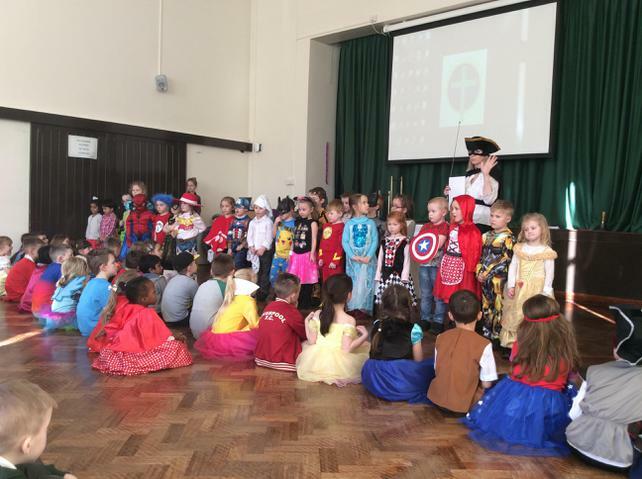 This week we celebrated our achievements over the course of our first term. 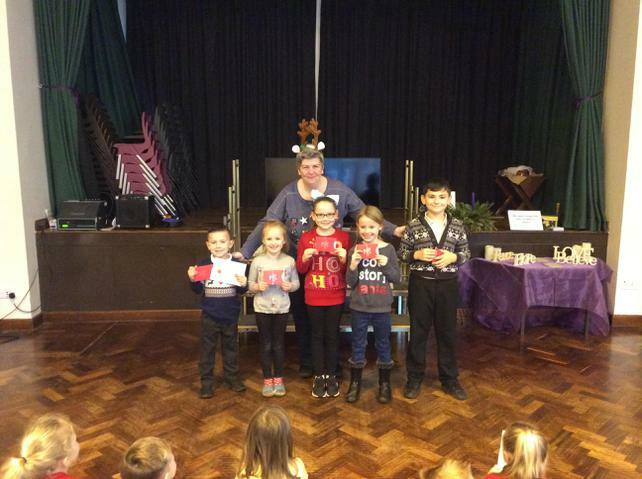 We awarded those who had 100% attendance, people's good deeds in our Golden Raffle, House Points and Class Attendance. Below are the children who received the Golden Book award this week for their excellent behavior in and around school. Today we had a visit from our local MP, as part of the Christmas card competition that we entered, to congratulate the winners in our school. Well done to our runners up and school winner. Here are the children who got Gold Awards this week for their amazing effort to improve in different areas of learning. 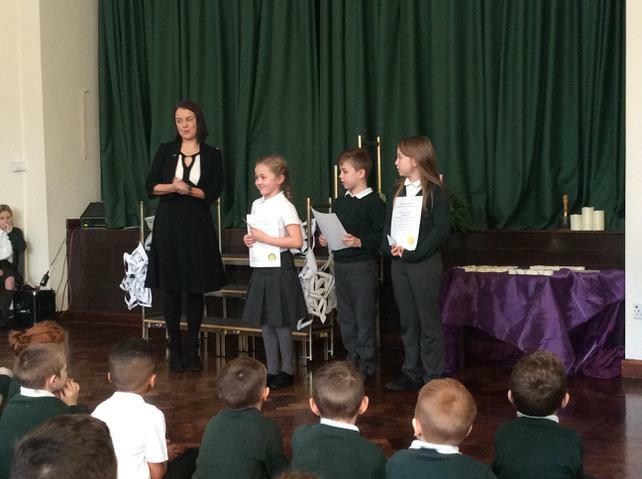 These children got Class 1's reading award for read 30 times! Amazing! 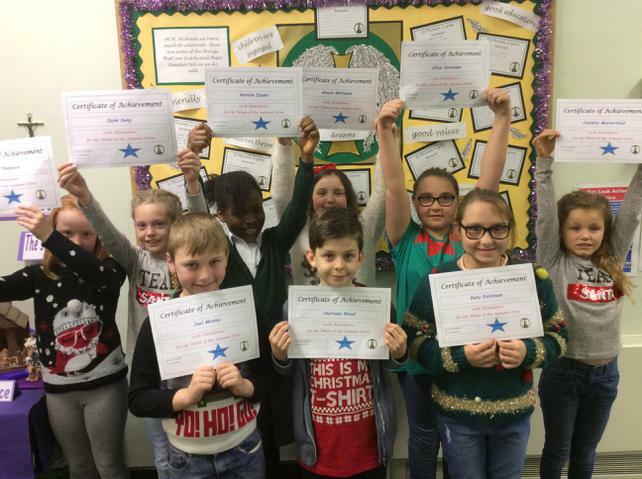 Here are some of this weeks children who have been selected for showing an excellent attitude to their learning.